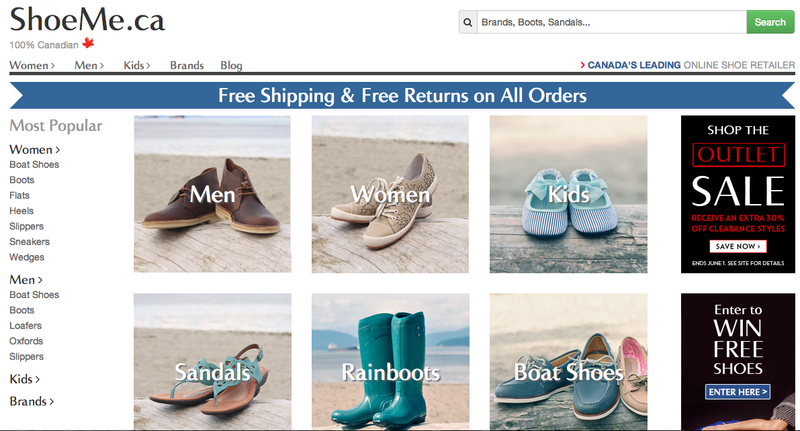 Boasting to be Canada’s leading online shoe retailer: ShoeMe.ca is a great shoe shopping destination without having to leave your home to deal with crowds in malls and eventually succumbing to crappy food court food. They carry over 150 brands for men, women and children such as Sam Edelman, Calvin Klein, Jessica Simpson, Skechers, Lacoste, ECCO, UGG, Geox, Hush Puppies, and BCBGeneration. I don’t shop online too often but the shopping and online ordering process with this new online shoe retailer was very smooth. While they may not have all the very latest in new arrivals from your favourite brands, there are tons of amazing styles to still keep everyone happy at great prices. And they even have their own blog section where you can get their latest news, style inspiration and styling tips. A plus is that they’re 100% Canadian! 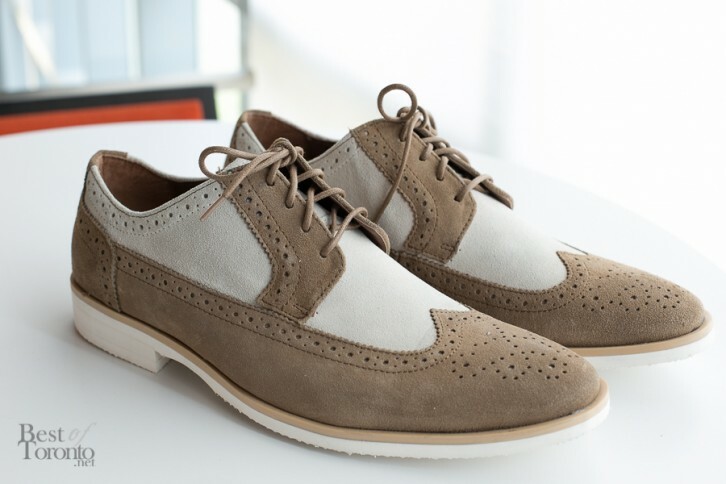 So I chose the sand-coloured Stacy Adams oxfords with brogue details and elongated Euro-look ($105), adding some pizzazz to my own collection of shoes – they’re just something I wouldn’t normally choose and that’s what makes them great. I also ordered BCBGeneration Zander heels in “warm sand” colour ($115) for my girlfriend and she loves them. Even though I ordered both pairs of shoes at the same time, the BCBGeneration heels were shipped first as they became available with free express overnight shipping. 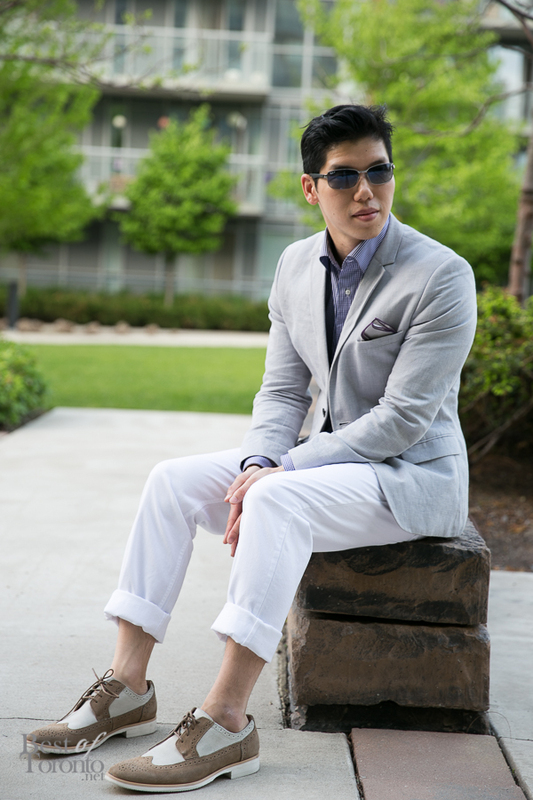 Then the next day my Stacy Adams oxfords were available and shipped, also with free express overnight shipping! That’s just a hint of their great customer service. Also kudos to my friends at Isaac Ely Bespoke for the custom dress shirt. Shop with me at Shoeme.ca at this link here and you will get $50 off your first order over $100. Happy shopping!